Depression is one of the most common disorders with a recurrent nature that requires treatment and protection against subsequent episodes. Interpersonal therapy (IPT) is an effective means to treat mild to moderate depression and other disorders and helps clients improve the quality of social relationships and interpersonal skills. 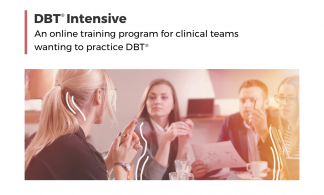 This training focuses on IPT for treatment of Major Depressive Disorder (MDD) in adults as an effective alternative to a life of taking depression medications. Depression affects about 121 million people worldwide. Approximately 25% of MDD patients experience chronic, unremitting occurrences, requiring long-term treatment. MDD accounts for up to 60% of psychiatric hospitalizations, and up to 15% of these patients commit suicide. View videos featuring Scott Stuart, M.D., Professor of Psychiatry and IPT expert, explaining and modeling the fundamentals of IPT. 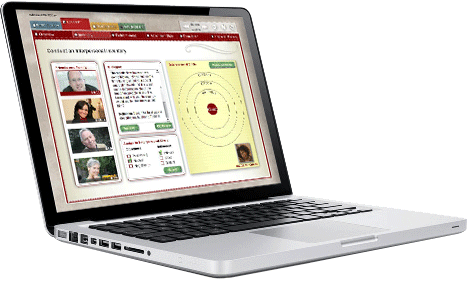 Experience interactive exercises and corrective guidance as you work with virtual clients. Learn how to target and address clients’ problem areas while considering their social support and vulnerability factors. Explore the theory, targets, and techniques of IPT as well as the research supporting the efficacy of the treatment. Apply this principle-based approach to a variety of treatments and access 16 printable resource documents. Work collaboratively with clients as you assess, treat, and provide maintenance treatment within the structure of IPT. This course is designed for a diverse audience, from students with limited clinical training enrolled in advanced degree mental health training programs to M.D.s and Ph.D.s with extensive training and supervision in IPT. 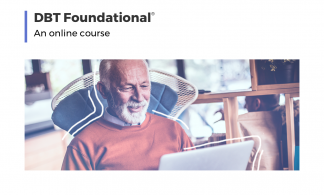 This course will translate well for anyone who treats clients with depression, including psychiatrists and psychologists, as well as master’s level social workers and counselors. In addition, primary care physicians and nurses will find the course helpful in their clinical work. Name the targets, tactics, and techniques of IPT. Describe the overall structure of IPT: Describe the assessment phase and its components, the middle phase of IPT and its components, and the conclusion of acute treatment and its goals. Recognize the importance of the therapeutic alliance within IPT and describe the Interpersonal Triad. Demonstrate providing psychoeducation and orienting a client to IPT. Describe the four attachment styles, their relevance and impact in IPT, and ways of assessing client attachment style. Demonstrate assessing attachment and communicating attachment style to a client. Recognize the interpersonal circle and how to use this to create the interpersonal inventory. Demonstrate constructing an interpersonal inventory with a client. Name and describe the three IPT problem areas and explain the purpose of problem areas within IPT. Select the appropriate problem area(s) for a typical client. Describe, explain, and construct the interpersonal formulation with a client. Describe the factors that determine the treatment plan and explain the relevance of treatment planning within IPT. Create a treatment plan for a client and share it with a client. Demonstrate how to conduct the middle phase of IPT with a client. 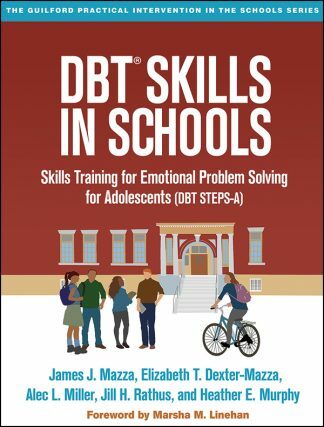 Define, recognize, and demonstrate the use of necessary techniques (content vs. process affect, use of an interpersonal incident, use of communication analysis, problem solving, role playing, and assigning homework) with an IPT client throughout the course of therapy. Identify common mistakes made when using each technique. Demonstrate how to conclude therapy with an IPT client and identify common mistakes when concluding therapy. Manage difficult moments in IPT. Alcohol and Drug Abuse Counselors: Behavioral Tech, LLC is approved by the National Association of Alcoholism and Drug Abuse Counselors’ Approved Education Provider Program, Provider Number 359. This activity is approved for 7.5 contact hours. After passing the Post-Test with a score of 80% or higher and completing the Evaluation Survey, our automated system will issue a CE Letter to the participant awarding Continuing Education credit. Mental Health Counselors: Behavioral Tech is an NBCC-Approved Continuing Education Provider (ACEP™) and may offer NBCC-approved clock hours for events that meet NBCC requirements. The ACEP solely is responsible for all aspects of the program. Behavioral Tech has allocated 7.5 clock hours for this activity. After passing the Post-Test with a score of 80% or higher and completing the Evaluation Survey, our automated system will issue a CE Letter to the participant awarding Continuing Education credit. Nurses: Behavioral Tech, LLC is accredited by the Accreditation Council for Continuing Medical Education to provide continuing medical education for physicians. 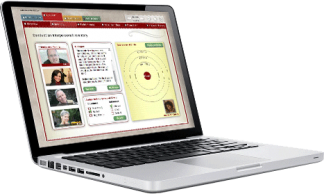 Behavioral Tech designates this educational activity for a maximum of 7.5 AMA PRA Category 1 Credits™. Continuing Medical Education is accepted by the ANCC for nursing certification renewal. After passing the Post-Test with a score of 80% or higher and completing the Evaluation Survey, our automated system will issue a CE Letter to the participant awarding Continuing Education credit. Nurses – CA: In accordance with the provisions of Division 2 Chapters 13 and 14 of the Business and Professions code, Behavioral Tech, LLC is approved as a Continuing Education Provider. Approval #PCE 1776. Course meets qualifications for 7.5 contact hours. After passing the Post-Test with a score of 80% or higher and completing the Evaluation Survey, our automated system will issue a CE Letter to the participant awarding Continuing Education credit. Psychiatrists: Behavioral Tech, LLC is accredited by the Accreditation Council for Continuing Medical Education to provide continuing medical education for physicians. Behavioral Tech, LLC designates this educational activity for a maximum of 7.5 AMA PRA Category 1 Credits™. After passing the Post-Test with a score of 80% or higher and completing the Evaluation Survey, our automated system will issue a CE Letter to the participant awarding Continuing Education credit. Psychologists: Behavioral Tech, LLC is approved by the American Psychological Association to offer continuing education for psychologists. Behavioral Tech, LLC maintains responsibility for the program and its content. Behavioral Tech, LLC has allocated 7.5 hours of CE within APA guidelines. After passing the Post-Test with a score of 80% or higher and completing the Evaluation Survey, our automated system will issue a CE Letter to the participant awarding Continuing Education credit. Washington: Behavioral Tech, LLC has been approved for 7.5 hours of CEUs by the NASW Washington State Chapter. Certified Social Workers, Certified Marriage & Family Therapists, and Certified Mental Heath Counselors are eligible. Provider number 1975-166. After passing the Post-Test with a score of 80% or higher and completing the Evaluation Survey, our automated system will issue a CE Letter to the participant awarding Continuing Education credit. New York: Behavioral Tech SW CPE is recognized by the New York State Education Department’s State Board for Social Work as an approved provider of continuing education for licensed social workers #0040. This educational activity has been approved for 7.5 self-study hours. After passing the Post-Test with a score of 80% or higher and completing the Evaluation Survey, our automated system will issue a CE Letter to the participant awarding Continuing Education credit.Materials that are included in this course may include interventions and modalities that are beyond the authorized practice of licensed master social work and licensed clinical social work in New York. As a licensed professional, you are responsible for reviewing the scope of practice, including activities that are defined in law as beyond the boundaries of practice for an LMSW and LCSW. A licensee who practices beyond the authorized scope of practice could be charged with unprofessional conduct under the Education Law and Regents Rules. Excellent program. I have tried to learn IPT on many occasions – this is the best course that I have taken. In particular, I like that it is compared and contrasted to other psychotherapies while at the same time acknowledging that some of the techniques (Interpersonal Circles / BPS Formulation) could be excellent tools in other types of therapy. The course became progressively more challenging. Each layer served as a foundation and bridge for subsequent sections. 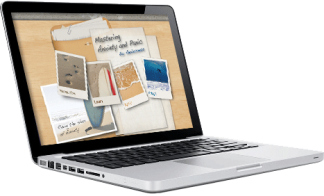 The similarities and contrasts of session exercises, expert videos, and PDF attachments engaged all styles of learning. I truly enjoyed the course. I very much enjoyed watching the role-plays between the therapist and client. I found it engaging and enjoyed the topics.